Most healthcare providers are aware that there are legal guidelines that stipulate how medical waste should be handled, but few are aware of who regulates medical waste. Failing to comply with medical waste disposal regulations can have detrimental impacts on the health of your employees, the public, the environment, and your reputation. On both the federal and local level, there are multiple agencies that regulate medical waste disposal, making the web of medical waste disposal guidelines hard to untangle. Most medical waste generators choose to hire a compliant medical waste disposal company to take care of the complicated disposal process for them. 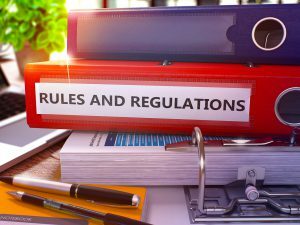 In this article, we take a look at who regulates medical waste and how each state enforces these guidelines with local laws and regulations. We’ll also look at how the disposal process is impacted by these laws. 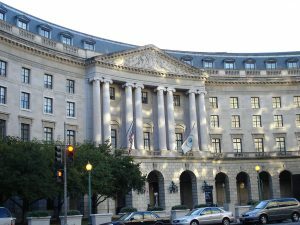 Who Regulates Medical Waste on the Federal Level? Improper handling of medical waste can pose a serious threat to employees, public health, and the environment, which is why several federal agencies have regulations and guidelines for medical waste disposal. The improper disposal of medical waste can have detrimental consequences for public and environmental health—that’s why the Environmental Protection Agency (EPA) is often involved in the regulation of medical waste disposal. The healthcare industry generates an enormous amount of medical waste, and in that waste are materials that are toxic, radioactive, and infectious. These materials can take on a diverse range of gaseous, liquid, or solid forms, and it’s EPA’s job to make sure all of these forms are regulated to protect public and environmental health. These laws often concern the final stage of medical waste disposal, in which the waste finally makes its way into a landfill. Certain types of wastes are barred from entering landfills altogether, while others must undergo a treatment process before they are considered safe for disposal. The Occupational Health and Safety Administration (OSHA) regulates medical waste safety in the workplace under their Bloodborne Pathogens Standard. The standard requires all employees who come into contact with medical waste must be annually trained on proper handling, storing, labeling, and transporting of such waste. Any work environment that poses a risk to employees must provide appropriate personal protective equipment, hepatitis B vaccinations, medical surveillance, and engineering and work practice controls. The Bloodborne Pathogens Standard also requires facilities with an occupational exposure to infectious materials to provide an annual Exposure Control Plan that identifies all potential risks, evaluation procedures, and a scheduling detailing how the facility will stay compliant. The Drug Enforcement Agency’s (DEA) involvement with medical waste has not historically been restrictive—instead, DEA has created regulations that give more options for the disposal methods of prescription drugs. DEA emphasizes proper disposal of prescriptions due to concerns about controlled drugs falling into anyone’s possession other than the person originally prescribed the medication. Controlled drugs are substances like Valium, Xanax, Adderall, or Oxycodone, and can cause serious harm or addiction to someone that it was not originally prescribed to. The Disposal Act of 2010 expanded rules of the Controlled Substance Act that make it easier, rather than harder, for public and private entities to securely dispose of unwanted prescriptions instead of just tossing them in the trash. People wanting to dispose of their unwanted drugs now have the option to dispose of them through authorized collection receptacles, mailback services, and take-back events. The Department of Transportation’s (DOT) Hazardous Materials Regulations (HMR) apply to the transportation of any material deemed capable of posing an unreasonable risk to public health, safety, and property when transported. Regulated medical waste is included in this definition and has specific guidelines for packaging and transporting such materials. According to DOT, regulated medical waste is any material that may contain an infectious substance. Recent revisions of the HMR have also expanded the definition of medical waste to include biological products, cultures, and patient specimens. DOT asserts that the shipper is the entity responsible for ensuring that all medical waste is properly packaged before being transported. It also mandates that all employees who are involved with the packaging process are properly trained on the process. DOT has exhaustive guidelines on how to package and safely transport regulated medical waste. For more information on DOT’s regulations, click here. Because medical waste must undergo treatment processes before disposal—and because most medical waste generators aren’t equipped to treat their waste in-house—the United States Postal Service (USPS) allows small amounts of medical waste to be shipped to treatment facilities. USPS has set forth rigorous guidelines regarding how medical waste must be packaged before mailing, and mandates that all materials be shipped through USPS approved containers. Medical waste disposal companies help facilities with mailing their waste by providing USPS certified shipping containers, as well as destruction manifests that detail the shipping and treatment process for your records. These containers are also compliant with DOT transportation guidelines. How Do States Regulate Medical Waste Disposal? On top of federal laws, each state in the U.S. has unique medical waste disposal regulations and departments with the authority to regulate this disposal. In the case of OSHA regulations, twenty-nine states have allowed federal OSHA to enforce these programs in their state—but this does not include state environmental, drug enforcement, and transportation agencies that might have overlapping authorities. It is crucial that medical waste generators familiarize themselves with relevant local laws. The Environmental Compliance Assistance Platform (EnvCAP) has developed a phenomenal tool that can help you determine the applicable laws for your state. Check out EnvCAP’s regulated medical waste state-locator tool by clicking here. How Do These Regulations Affect the Disposal Process? Any medical waste that is being mailed to a treatment facility must be sorted, packaged, and shipped in accordance to DOT and USPS guidelines. DOT reserves the right to perform random inspection of medical waste packages, and USPS requires that you obtain authorization from the postal service before mailing. Even if your medical waste has left your supervision, law dictates that you will be held accountable for any violations in the transportation process. 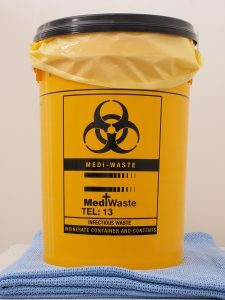 It’s important that you make sure you select a fully compliant medical waste disposal company before you sign any contracts. DOT regulations concerning the packaging of your materials—whether they are picked up or mailed back—must also be met before they can be transferred. All regulations tend to separate medical waste items into similar categories (e.g. sharps, pharmaceutical, anatomical waste), and each category requires a different predisposal treatment, so you need to ensure your employees know how to properly sort and package medical waste. Furthermore, OSHA requires that all employees be trained to properly handle and store medical waste annually. With so many medical waste regulations to comply with, it is easy for a medical waste generator to make a mistake in the disposal process. That’s why so many facilities choose to hire a professional medical waste disposal company to handle their medical waste for them. Disposal companies have the time and manpower to handle your medical waste with complete consideration and attentiveness, allowing you and your employees to spend more time on what matters most—your business. 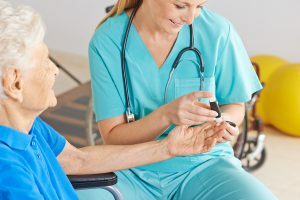 Let Medical Waste Pros Connect You With a Professional Medical Waste Disposal Service! At Medical Waste Pros, we understand that the medical waste disposal process is tedious and complex. We’re fully dedicated to providing you with the highest quality medical waste disposal services so you are never in bad standing with anyone who regulates medical waste—on the federal and local level. No matter what your needs are, we can find the right service for you. We offer a number of medical waste services across a variety of industries. Simply fill out the form to the right or call Medical Waste Pros at (888) 755-6370 today for free quotes on safe, compliant medical waste disposal services.